InterEng Messtechnik GmbH provides measuring technology designed to test reliably, locate faults precisely and make diagnostics in cable networks. 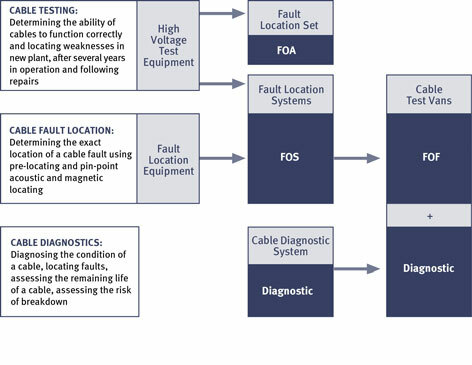 Testing devices and fault location equipment form the basis for complex measuring and fault location systems as well as for specifically equipped test vans. The utilised modular system allows such equipment to be adapted to the latest developments in cable testing technology at any time. We provide the necessary range of cable testing technologies for energy supply utilities and other network operators in the low, medium and high voltage grids. InterEng Messtechnik GmbH is the authorized distributor of BAUR Prüf– und Messtechnik GmbH, Austria in the countries of Middle Asia. If you are interested in more information do not hesitate to contact us. We welcome your enquiry and will be happy to assist you.